AltX-listed Huge Group has hit back at recent claims that a dramatic reduction in mobile interconnection fees will destroy the business model for companies that provide least-cost routing (LCR) services. 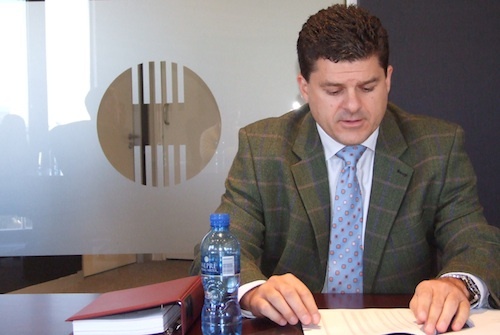 James Herbst, CEO of Huge Group, a big player in SA’s LCR industry, says the impact of a reduction in interconnection fees charged by mobile operators could have both positive and negative implications for LCR providers. Service providers that offer LCR products help their customers, typically businesses, reduce their call costs by routing calls over the cheapest and most efficient networks. They take advantage of the fact that there are multiple operators charging different rates at different times. But John Holdsworth, CEO of ECN Telecommunications, recently accused LCR operators of having a “vested interest in maintaining the status quo” in interconnection rates because they will no longer be able to profit off “arbitrage” opportunities if the rate drops below 90c/minute in peak calling times, from R1,25 now. Interconnection rates are the fees telecommunications operators charge one another to carry calls on each other’s networks. The mobile operators — Vodacom, MTN and Cell C — are coming under intense political pressure to reduce the rate, which is one of the highest in the world. They are accused of using interconnection fees to keep new competition from emerging. But Herbst, pictured, says the impact of lower interconnection rates on LCR providers is not as clear cut as Holdsworth makes out. “His statements are correct in isolation, but it’s not just about interconnect, it’s also about the retail price and its interplay with interconnect,” he says. “There are mitigating factors to the risks, and we have them in place. There could even be advantages, depending on what happens,” Herbst says. “We’re not putting our heads in the sand and saying LCR is not under threat. What we’re saying is the business model may change. It’s smoke and mirrors when people say LCR is dead. So we must fell sorry for an industry that has made huge profits because of an unfair pricing model that effects nearly everybody in SA, me thinks not. Their loss will be the gain for everybody else including every other business. That means more money in the pot to be spent elsewhere and still telcoms will make a profit; just not such a greedy one.